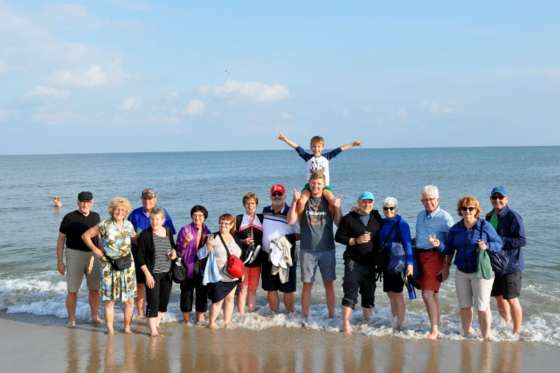 This prestige Cobblestone Great Ukraine Tour hits all the "must-see" Ukrainian destinations! Ukraine is a country of great variety, ​a product of thousands of years of traditions and resilience​.​ ​On this trip, you will see​ everything ​that this great nation has to offer,​ from the golden domes of Kyiv, the maritime charm of Odesa, to the quaint mountain villages of the Carpathian Mountains, the multicultural Chernivtsi and the cobblestoned streets ​of​ ​the beautiful Lviv. ​Ukraine’s​ diverse people will open their arms and their homes to you, if only to share a part of the culture ​they uphold​. Join us on our Great Ukraine Tour to ​experience​ this vivid ​country,​ take in its authenticity​ and ​witness its​ rich traditions. Your journey begins with your arrival to Kyiv- one of the most ancient cities of Europe​. The capital of Ukraine, and the former capital of the Kyivan Rus, this beautiful and historic city has played a key​ ​role in shaping​ the past, present and future of this country. Explore its Golden Domed streets, visit open air museums, ​meet locals, and get ​to know​ this unique, cosmopolitan city at the heart of Ukraine. Welcome to​ Odesa: ​the Pearl of the Black Sea. ​This blossoming, cosmopolitan city is a historic Black Sea port, that attracted immigrants from all over Europe as a promising place to find their fortune. These beginnings made​ Odesa into one of the most multicultural cities in Ukraine –you will feel its unique vibe as you wander its eclectic streets, stunning buildings, hear its ​legends​ of neighborhood​ criminals, and indulge in ​the local seafood and Shabo wine. ​We will show you every side of Odessa, from its most iconic places, to its secretive, hidden treasures. Chernivtsi is the ​capital​ and heart of ​the​ ​western​ Bukovyna ​region​. This multicultural city is an eclectic mix of traditional dance rhythms, rich food, ​and is also considered one of Ukraine’s most important educational and architectural sites. ​It was from Bukovyna and Chernivsti that some of the largest waves of Ukrainians emigrated to Canada in the late ​19th-20th​ centuries. Its stunning University is an ancient, magical collection of buildings. ​It has been​ marked a UNESCO world heritage site, and ​ has the power to take you back in time as you step through its doors. Visit a traditional village deep in the Carpathian Mountains, and experience a lifestyle that has remained​unchanged​ for centuries. Home to sweeping green forests, flowing rivers and ​breathtaking​ waterfalls –it’s hard not to feel at one with nature when ​breathing in the fresh mountain air. This is the land of the Hutsuls, Boykos, and Lemkos – meet the local villagers, dance the Arkan ​(traditional Hutsul dance)​ and ​​share​ traditional food ​​seated ​around one table. Enjoy the open hospitality of these mountain people, and experience their simple way of life. Explore the ancient​ ​city of Lviv. 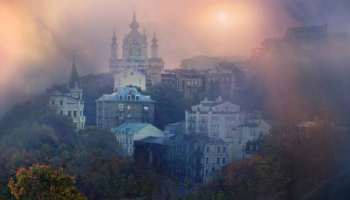 ​Also​ known as the Paris of Ukraine, ​many have fallen deeply in love with Lviv’s​ ​quaint charm, cobblestoned streets and classical architecture. Walk along its cobblestones to find​ the best coffee and beer Ukraine has to offer. Hide away​ in small authentic cafes and visit the World’s Only Coffee Mine. Lviv​ is a city of a laid-back café culture, where you can pick a spot, relax, and ​enjoy the atmosphere of an era gone by. - Visit UNESCO World Heritage sites throughout Ukraine in Lviv, Kyiv and Chernivtsi. - Enjoy the mystic Carpathian Mountains, attend a Cobblestone Freeway exclusive – a traditional Hutsul Wedding! SAVE $200 per person when you book six months prior to departure.